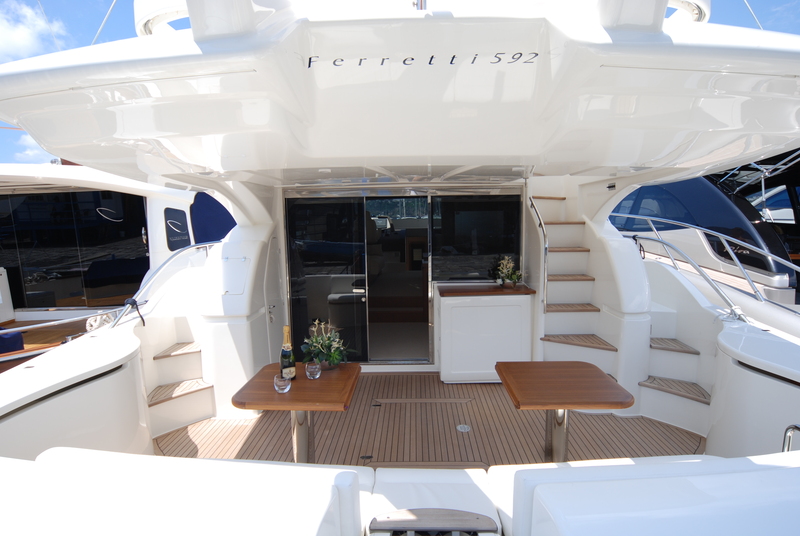 Charter yacht VIVA was built by Ferretti yachts in 2009, she boasts a 17.86m (58' 7") sleek white hull. 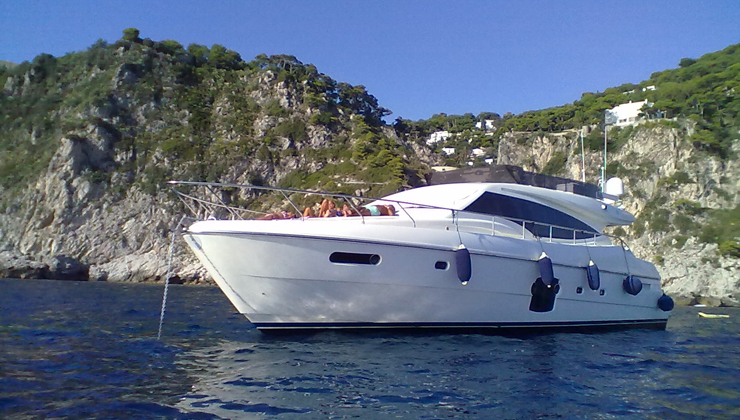 M/Y VIVA is the ideal choice in a charter yacht for families and friends, who want to explore the West Mediterranean in comfort and style. 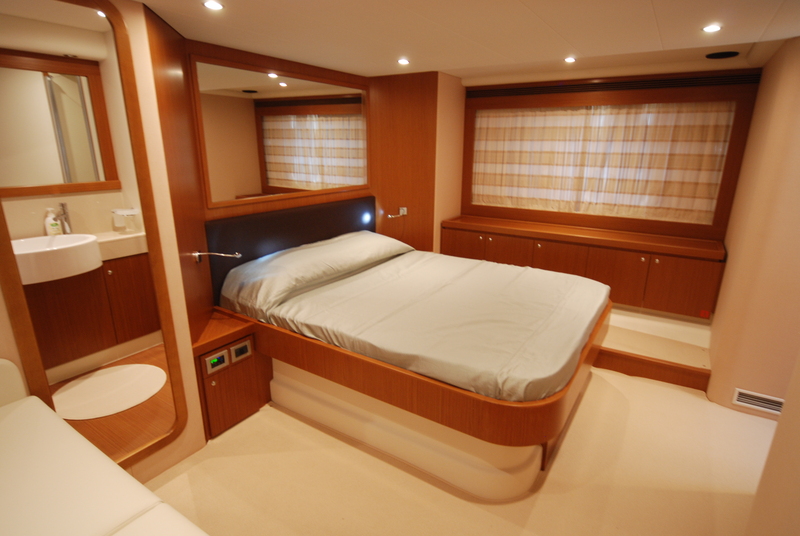 She can accommodate up to 6 guests in 3 spacious en-suite cabins. 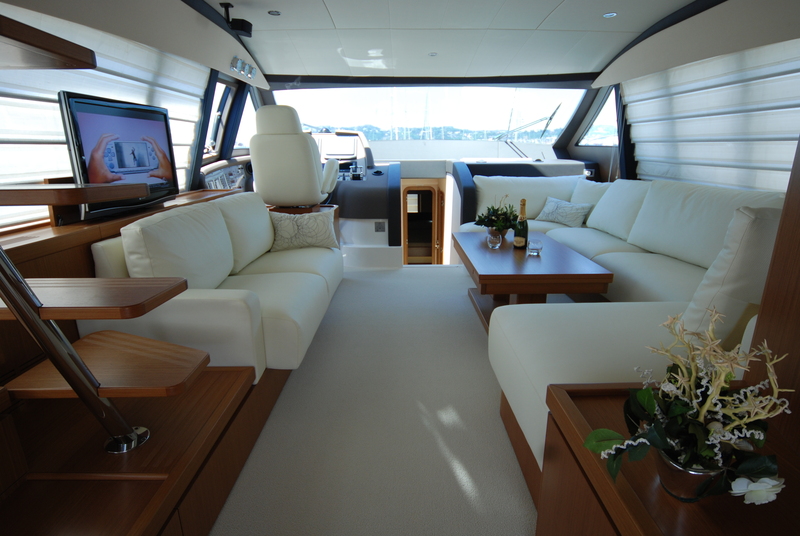 Motor yacht VIVA has a stylish and contemporary interior designed by Zuccon International Projects, featuring subtle cream furnishings, warm wood finishes and ample natural light throughout. 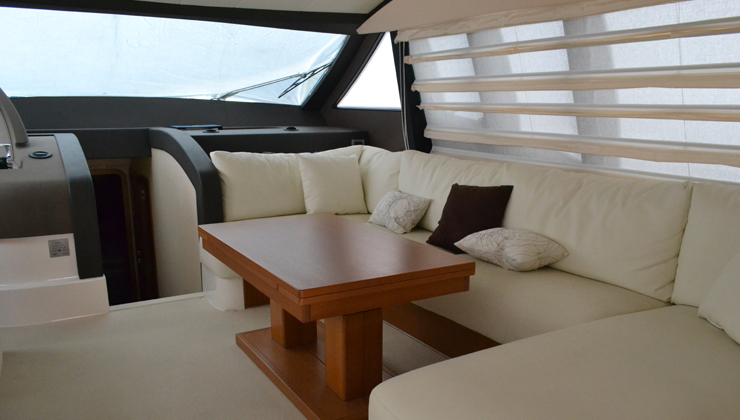 The salon and dining are shared as an open plan with 2 sofas and an adjustable table. 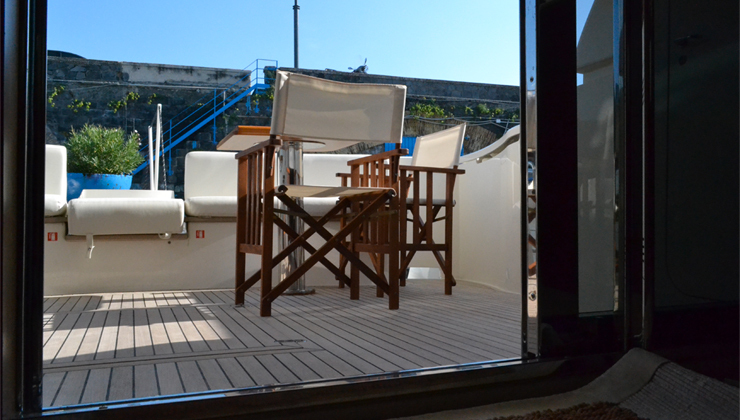 Aft of the salon, wide sidling glass doors open onto the generous aft deck and alfresco dining option, perfect for all dining occasions. 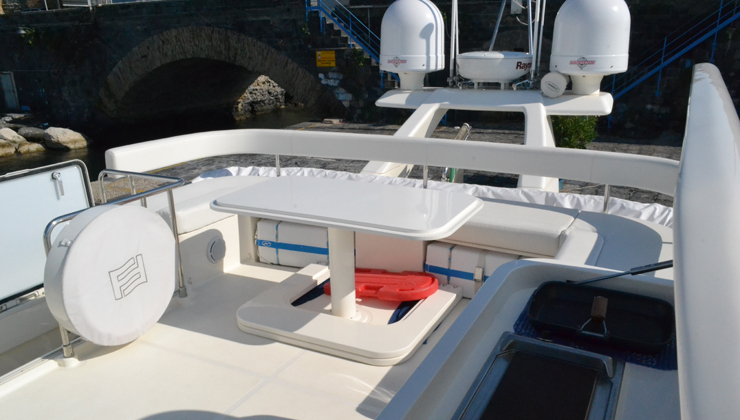 A swim platform on the transom allows guests to access the water toys with ease. 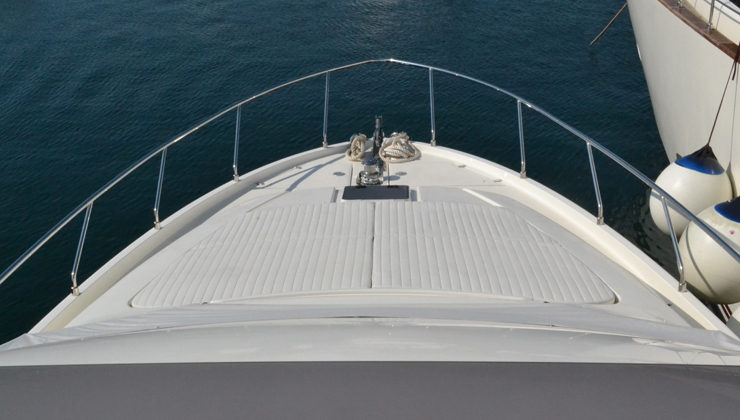 Charter yacht VIVA offers wrap around decks that lead to a massive sunpad on the foredeck. 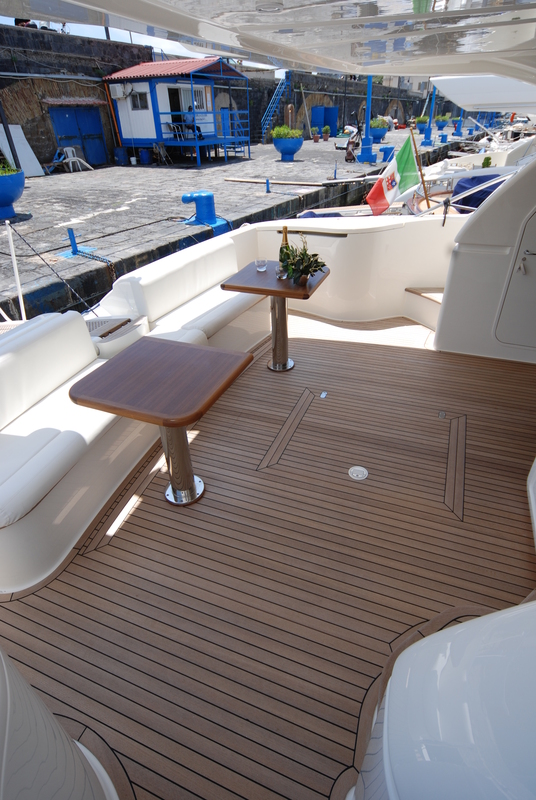 A further sunning and entertaining area is available on the flybridge, complete with an alfresco dining table, seating and sunning space. 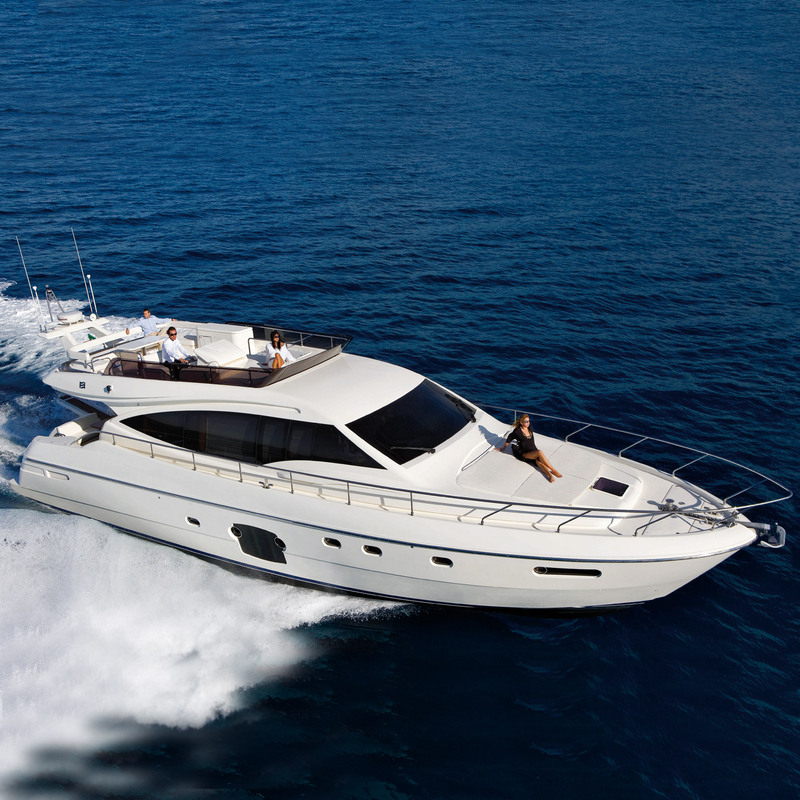 The Italian built Ferretti yacht VIVA has a beam of 5m (16.4ft) and a draft of 1.5m (5.2ft), she is powered by 2 MTU 1100hp engines that enable cruising speeds of 22 knots and top speeds of 34 knots. 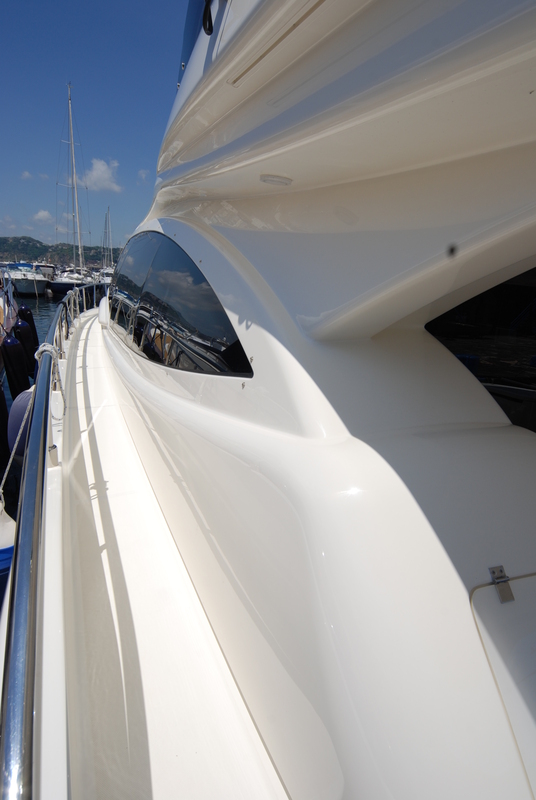 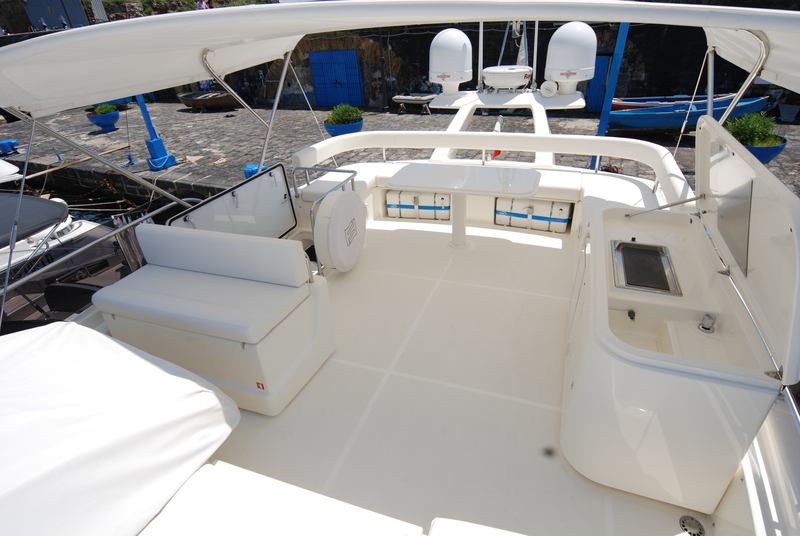 The VIVA yacht is based in Naples all year round. 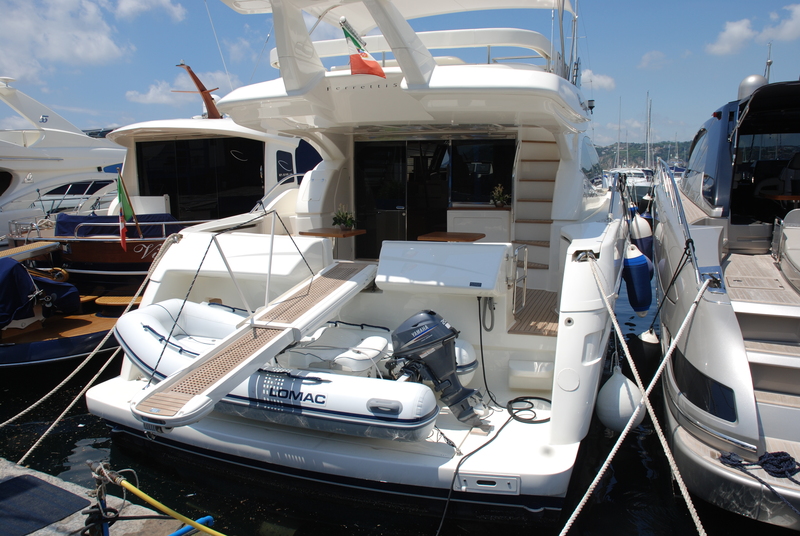 The VIVA motor yacht offers deluxe accommodation for up to 6 charter guests in 3 cabins, all with en-suite facilities and showers. 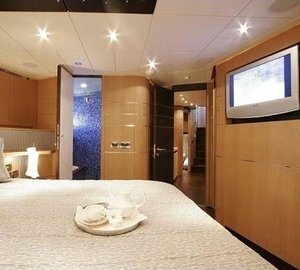 The master stateroom benefits from the full beam of the yacht and is amidships featuring large hull windows for optimum natural light, a center lined queen size bed, love seat and vanity. 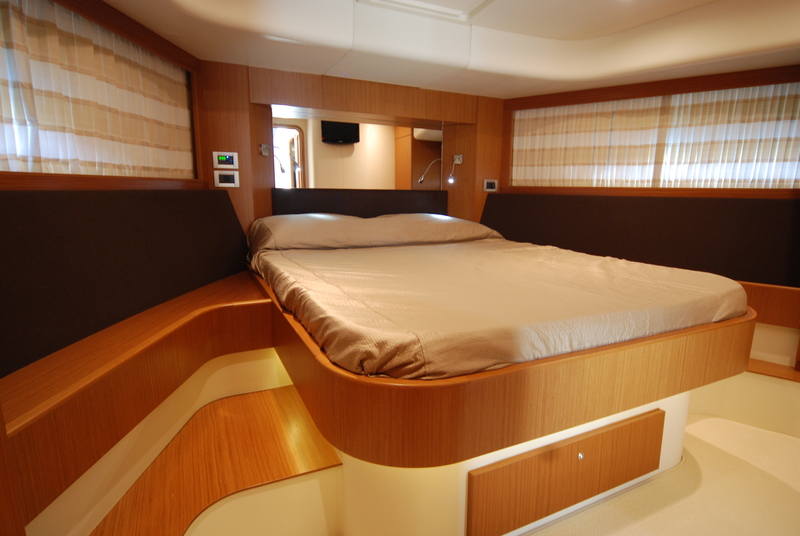 A VIP cabin is forward and full beam of the yacht with a center lined double bed. 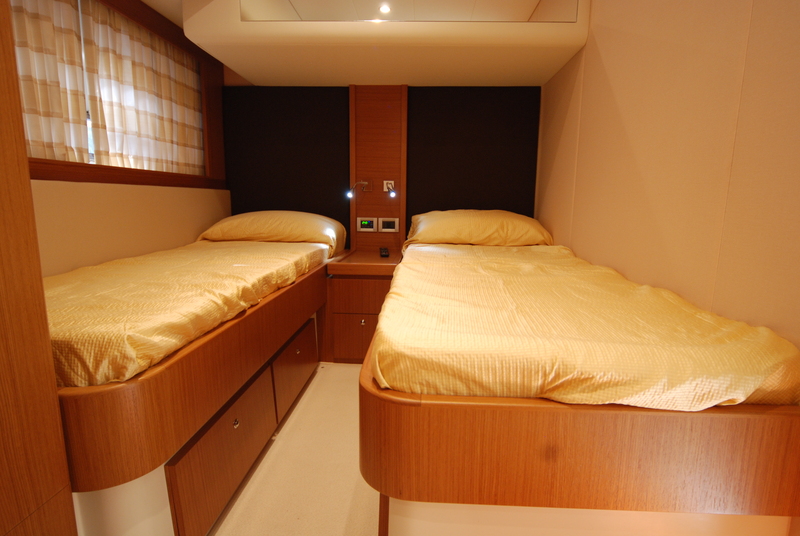 The guest cabin offers 2 side by side twin beds. 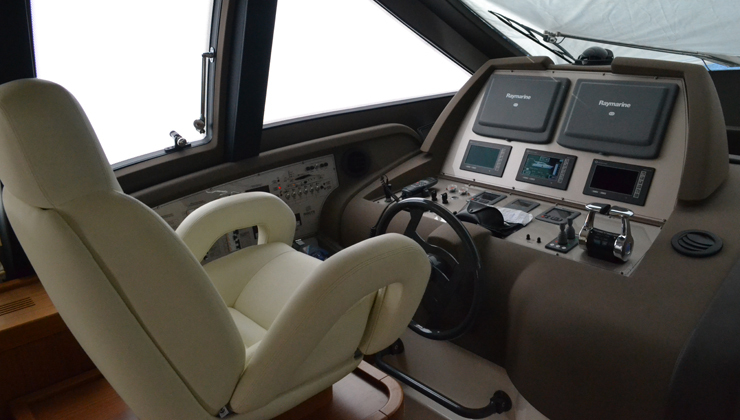 Each cabin is fully air conditioned and boasts TV/Music entertainment. 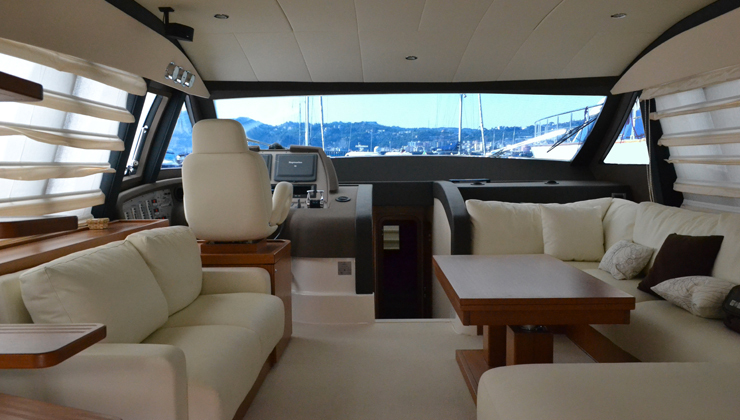 We do have available further amenity, owner and price information for the 17.86m (58' 7") yacht VIVA, so please enquire for more information.